Word it Out January Clients Choice award goes to trader from Indonesia! Our Word it Out Contest is designed for traders who want to share the opinion on OctaFX services with OctaFX trading community. The January round had rather competitive atmosphere and the amount of reviews submitted added up to the spectacular race for success. 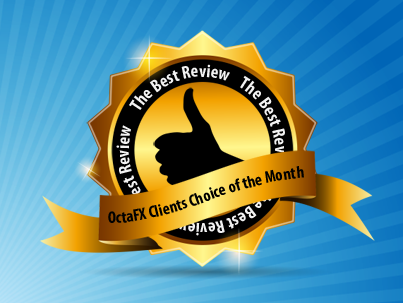 OctaFX would like to thank everyone who submitted their review - you still have chance to win the main prize of the contest - MacBook Air! January Clients Choice award goes to Mr. Yeyen Pamula from Indonesia! His nicely structured review gathered 1849 likes, outlining all OctaFX features! As a reward, Mr. Yeyen receives the latest iPhone! OctaFX team evaluated this splendidly structured review and found it most satisfying, therefore we can witness the case when public and official points of view joined in unison. “I was very happy and did not expect to win this award.I started promoting my review to my Facebook friends and it turns out my friends also helped promote my review, so the number of likes on my review would be many. Thank you all, thank you OctaFX. With OctaFX I learned many things about trading and I will continue to promote OctaFX, because OctaFX is forex broker really recommended”. February round awaits for the winner and we encourage our customers to take part and be as competitive as NJanuary Round participants. Take your time, consider our every advantage and don’t forget to mention our weakest points – leave your review on any Forex Forum and send us a link – that’s it – you can start gathering likes, as we are sure your viewpoint is relevant not only to OctaFX, but also to your fellow traders! At OctaFX every opinion matters! Go Word It Out! OctaFX Technical Department would like you to be informed that due to the coming President’s day on February 17, we have altered a trading schedule for XAU/USD and XAG/USD trading instruments.